G y r o c a r s.
More vehicles with insufficient wheels. The Schilovski Gyrocar: 1912. This magnificent machine now has its own page. Two wheels one after the other is just a motorcycle- unless what they support is actually a complete car, with gyroscope stabilisation to stop it falling over. Unlike some exhibits in the Museum, the vehicles on this page had no commercial success whatever. The Giesberger company produced a prototype gyroscopic automobile in 1921, exhibiting it as a bare chassis at the Paris Salon in 1922. It does not appear to have gone into production, and no more was heard of it. The two wheeled vehicle was equipped with a four-cylinder engine, three-speed gearbox and shaft drive. The Giesberger gyrocar at the Paris Salon: 1922. According to an article in Motorcyle Sport for August 1968, the Giesberger "...had gyroscopes inside the rear wheel and a drive shaft either side of the wheel... I imagine one shaft drove the gyro and the other the wheel. The rest was car stuff. A pressed-steel chassis, a water-cooled four-cylinder engine, a radiator straddling the front wheel and wheel steering." This seems to imply that the gyro had a horizontal axis, whereas all the other gyrocars on this page had a vertical axis, ie with the gyro wheel in the horizontal plane; perhaps Giesberger had the technology all wrong. At any rate the car was never heard of again. This drawing is obviously taken from the photograph above. It was published in Popular Science for March 1922. There is a Wikipedia page (in German) on the Giesberger but it gives no further information. The name of Louis Brennan will be familiar to those who have seen my page on his Gyro-Monorail. I have just discovered that he also built a gyrocar, though it appears to be virtually unknown compared with the Schilovsky gyrocar. Thanks to Paul Dunlop for providing the information. In 1926 or 27, after his torpedo, monorail and helicopter ventures, Brennan, then 73, wrote to the Secretary of State for War (Sir Laming Worthington Evans) suggesting that a gyrocar should be developed for military use- just like the intended use of the Schilovsky gyrocar. The War Office refused to finance it, but funding of �12,000 (plus a �2000 per year salary for Brennan) was found from John Cortauld. 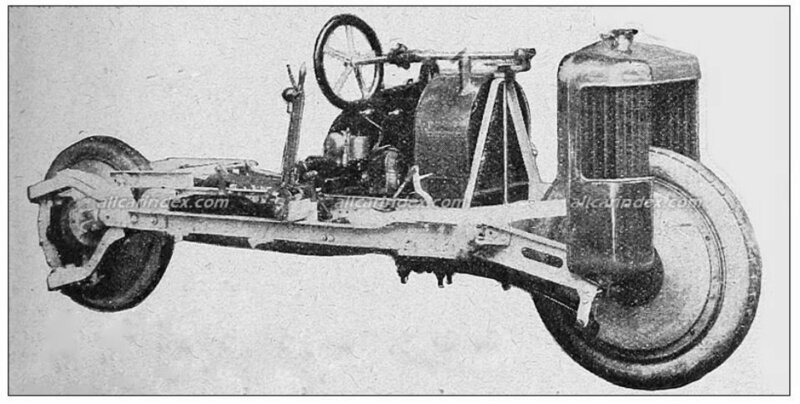 The Brennan gyrocar worked on the same basic principle as the gyro-monorail. Two contra-rotating gyros were housed under the front seats, spun in a horizontal plane at 3500rpm by 24V electric motors powered from standard car batteries. This was the greatest speed obtainable with the electric motors available, and meant that each rotor had to weigh 200lb to generate sufficient forces. Precession was in the vertical fore-aft plane. The car had a Morris Oxford engine, engine mountings, and gearbox. Two sidewheels (light aircraft tailwheels were used) were manually lowered on stopping; if the driver forgot and switched off the gyros and walked away, the car would continue to balance itself using the gyro momentum for a few minutes, and then the wheels would automatically be dropped to stop tipping. The Brennan gyrocar at Farnborough, in 1929. 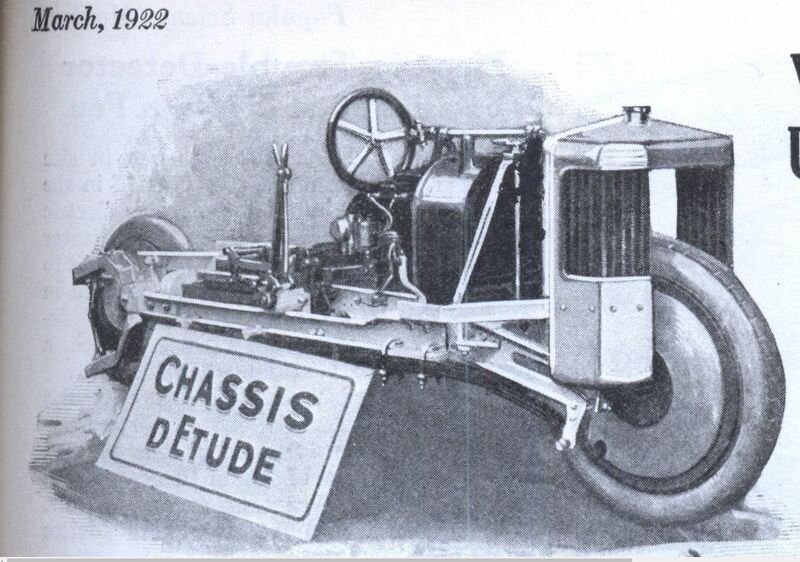 The car was completed in 1929 and proved to work well and bank correctly on turns. It was demonstrated to the leading British car manufacturers- Austin, Morris and Rover- at Farnborough aerodrome, but after consideration they said they could sell all the conventional cars they could make, so why should they take the risk of a radical new technology? Other firms said the same thing, and the project was abandoned. Even a Title Max loan company would have not taken the risk of investing in such technology. Another picture of the Brennan gyrocar at Farnborough. Here the sidewheels are on the ground. Might that be Louis Brennan standing on the extreme right? Brennan died in 1932 at the age of 79, from the effects of being knocked down by a car while visiting Montreux in Switzerland. 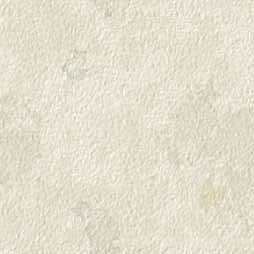 Well, anyone can have a concept; this one is only included for completeness. 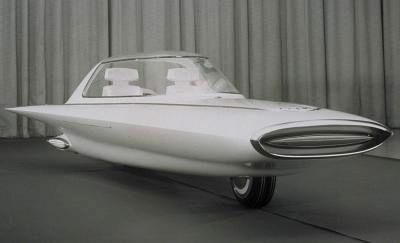 The picture below shows the Gyron, a non-functioning show car exhibited by Ford in 1961. Ford made it quite clear at the time that they were not going to put this car into production. 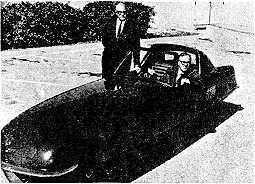 In 1962, a gyro-stabilized car was apparently exhibited in Kansas City, Kansas, based upon a patent issued to Louis Swinney. 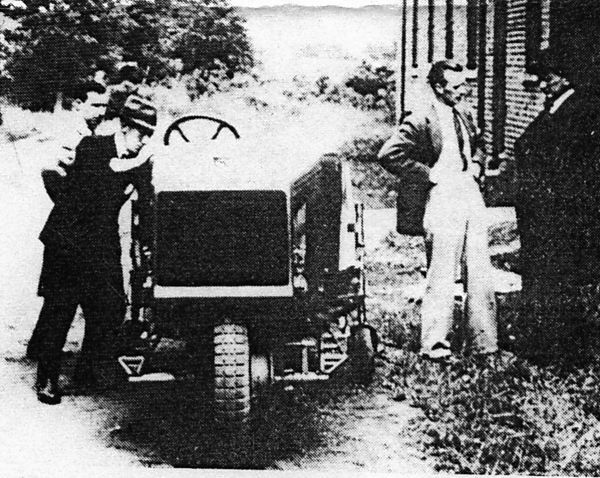 According to one report: "This is the first gyro-stabilized car ever built that does not lean when subjected to unbalancing forces. It remains fixed in the exact vertical position. This is accomplished by the automatic adjustment of the weight distribution by using a secondary counter weight which moves laterally within the framework of the car. The car remains in the precise upright condition, never deviating." Along with his partners, brother Ernest F. Swinney and friend Harry Ferreira, Louis E Swinney designed and built a small backyard gyro-monorail in 1962 to test the concept at 42nd and Metropolitan Avenue in Kansas City, Kansas. It operated successfully for several years and was demonstrated to the press on several occasions. The small, jet-age finned vehicle traveled along a steel pipe supported on wooden pylons approximately three feet above ground level. The Swinney-Ferreira team also developed a two-wheeled car based on the same gyroscope technology. The gyrocar from Gyro Transport Systems of Northridge, California. Magazine cover story, September 1967. So why aren't we riding round in these things? As an engineer I can't help wondering what happens when things go wrong, which, as Captain Murphy told us, they will. In this case I have grave doubts as to what would happen if one of the gyro bearings seized. Presumably the car would spin end-for-end at some speed, which might impair your control of the vehicle. A less drastic disincentive is the fact (buried in the last page of the article) that it took three minutes to spin up the gyro to operating speed. That's a long time when you're tapping your foot, waiting to get away. Here is the "Science & Mechanics" article: The picture captions are the originals. I have just seen the car of tomorrow- today! Its the Gyro-X, an aerodynamically sleek, two-wheeled sports car that tracks die-straight down the most slippery of highways, manages 125 mph from a tiny 80-hp engine, can't skid or flip, and literally flies around steep 40-degree embankments like an airplane, though its two 15-inch wheels never leave the ground. The stopper, of course, are those two wheels instead of four. How, you may ask, can a car with only two wheels keep its balance? The mystery of the Gyro-X's remarkable road stability is solved once you lift the hood. Inside is a compact 22-inch gyroscope whose single, fast-spinning rotor (4000 to 6000 rpm) produces a massive 1300 ft/lbs of torque. Almost instantaneously, the gyro senses the car's slightest deviation from the vertical and literally throws its weight around to keep the sportster tracking vertically true and straight. It would take an H-bomb blast to topple the Gyro-X, what with that massive gyro-generated torque forever fighting to keep the car upright and even-keeled. Gyro stabilization isn't, in itself, a new idea. Inertia guidance system in our nuclear subs and aboard high-flying missiles depend on gyro-stabilized navigational platforms to keep them on track. But gyrostabilizing a car so that in can take advantage of two-wheeled mobility is something else again. The Gyro-X is not only something else but, says its builder, Gyro Transport Systems Inc. Northridge. Calif., is the forerunner of a whole new breed of super fast, gyro-stabilized land-water vehicles. "You could almost completely demolish the Gyro-X in a head-on collision" claims one of its developers, "and if its gyro were still spinning, she'd stay upright, neatly balanced on her two wheels." Gyro-stabilized and "center tracking" on just two wheels, the low (47-inch high), lean (42-inch wide) and lightweight 1,850-lb. Gyro-X has better than "wide-track" road-holding ability and the quick manoeuverability of a motorcycle. More to the point, two wheels permit the kind of aerodynamic styling that drastically reduces wind resistance and road drag, power robbers, in most Detroit cars, sap upwards of 60% of an engine's horsepower at high speed. Even family sized gyro-cars should be able to nudge 125 mph, pushed by pint-sized 80 to 120-hp engines. The Gyro-X owes its ultra low-drag, lowlift lines to internationally famed automotive stylist Alex S.Tremulis former Chief of Advanced Styling for Ford Motor Company. Tremulis spent 13 year in Ford's styling department before departing in 1963 to set up shop as a contract stylist. Earlier, he'd helped style the 1933 Duesenberg (still a design classic), the way-out Cord and later, but still years ahead of its time, the controversial Tucker. Left: Cockpit is conventional apart from gauges and dials dealing with the gyro. The Gyro-X closely resembles another Tremulis innovation, the Gyronaut X-1, a super-streamlined two-wheeler which, with Bob Leppen at the controls, last year streaked across Bonneville's salt flats for a new world's two-wheel land speed record: a sizzling 245.667 mph. "Though the Gyronaut X-1 wasn't fitted with a gyro", says Tremulis, "it proved the remarkable tracking ability of a two-wheeled car." The next step was obvious: a true gyro automobile. Thus was born the experimental, single-seat Gyro-X sportster. Already on Tremulis drawing board is four-passenger, family gyro car. "It'll be about 12 inches wider than the 42-inch-wide Gyro-X" explains Tremulis, "and perhaps 3 ft. longer (18 ft. compared to the Gyro-X's 15 ft. 5 inch-length) to give more leg and luggage room." Remarkable as it may seem, the Gyro-X has only about 1/10th the air drag of a street-type motorcycle. All of which explains why its BMC 1,275-cc 80-hp gasoline engine has power aplenty not only to drive the hydraulically geared gyroscope but to push the car to speeds which, in four-wheelers, would reguire an engine four times the size and power. Moreover, for super-fast acceleration the pent-up kinetic energy in the gyro can, momentarily, be fed back to the car's drive train, to give the gyro car power-boosted getaway. "Actually," concedes Albert Crane, Gyro Transport Systems executive vice president. " the Gyro-X's standard shift, 4-speed gear box isn't beefed up enough to take power from the gyro. But future cars will be able to use a big spurt of gyro-power for super acceleration when it's needed." Heart of the Gyro-X, of course, is its 25-lb, gyroscope. Designed by gyrodynamist Thomas O. Summers Jr. (who holds some 50 basic gyroscope patent and was founder of Summers Gyroscope Co), the gyro's single 20-inch rotor, spinning at a maximum 6000 rpm, is hydraulically powered from the car's engine. "Gyroscope stability depends on the gyro's almost instantaneous response to the car's slightest deviation from the vertical," explains Summers. So sensitive are the gyroscope's sensors and servo mechanism that it can respond within millisecond to the Gyro-X's slightest change in road stance. Scarcely has the car begun to tip or bank than its deviation-from-vertical sensors, detecting and evaluating the magnitude of the imbalance, signal the servo system to rotate the gyroscope horizontally left or right, correcting the deviation with massive gyro torque. Mounted on nearly friction-free gimbals, the gyro can turn horizontally through about 180 degrees. The gyro rotor itself spins vertically at constant speed. In practice, the gyro "follows" the front wheels. Turn the steering wheel left, and the gyro, servocontrolled, turns left, correcting the Gyro-X's inclination to tip or bank in the turn. By setting the gyro to "over-correct," the car can be held perfectly vertical in a high speed turn... or, remarkably, made to lean in the opposite direction. Thus the eyepopping phenomenon of a gyro car banking left as the car zooms through a right hand turn. Says one gyro expert, "With enough gyro torgue, you can trick gravity and even negate centrifugal force." No only does the gyro correct normal lean, sway and windpush, but it also corrects skids-in fact, any declination from straightline tracking. A gyro stabilized car behaves a bit like one of those weighted Indian clubs. Try to push it over and it regains, almost magically its upright position. The harder the push, the greater the gyro's thus the car's) resistance to unbalancing forces. You'd think that, in developing its 1,300 ft/lbs of maximum torgue, the gyro has car's engine of big wad of gor power. Actually, once the gyro has built up to its operational 6000 rpm, very little engine power-scarcely more than 1%, in fact-is needed to keep it spinning. "Winding" the gyro up is another matter. Roughly, it takes about three minutes, from the time you switch the Gyro-X's ignition on, to get the gyro up to "no-tip, no-skid" speed. Above: Beneath the hood are gyro, front wheel, gas tank, and fan for gyro's sensors. Above: Rear engine compartment showing shock-mounted rear wheel, enclosed chain drive, and small stabilising wheels. But, you may rightly ask, wouldn't a gyro car tip over should its gyro be turned off, say when you park the car? It would - which explains the Gyro-X's airplane-like "landing gear" (actually, two small stabilizing wheels) which, when the car is parked or should the gyro run down, are hydraulically (and automatically) dropped to stabilize the car. Once the gyro is up to speed, you merely push a button and the "parking" wheels retract - right into the Gyro-X's underbelly. At the same time, doors close around them to preserve the car's aerodynamic lines. Left: One of the stabilising wheels. But purpose the engine conks out, depowering the gyro's rotor. Wouldn't the Gyro-X simply turn turtle in traffic? Remarkable, the answer is "no." First off, even de-powered, the gyro keeps spinning under its own inertia for perhaps 20 to 30 minutes. So a sudden "power-off" doesn't affect the car's stability one whit. Moreover, once the rotor's rpm have fallen below minimum stabilizing speed (about 4000 rpm), those "landing gear" wheels automatically drop to the pavement, stabilizing the car. Gyro sustained, the Gyro-X could literally run on ice skate blades instead of tires and still keep its center-tracking stability and balance. Matter of fact, a major tire maker is concocting special oval-shared thread, this to cut down on the ruber contacting the pavement. Running on such narrow treads, Gyro-X's speed can be pushed up 10% or more. Nor is placement of the gyro within the chassis critical. "The gyro can be placed anywhere that's convenient," explains gyrodynamist Summers, "in the nose, far back in the tail... anywhere." In the Gyro-X it's mounted up front, just ahead of the driver's compartment and behing the front wheels. the gyro's weight was the critical factor here. 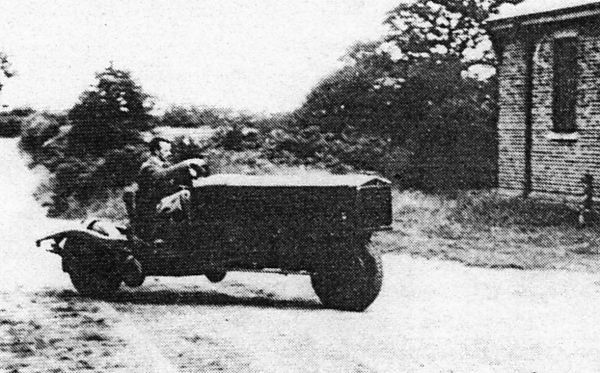 With the engine tucked just behind the driver's seat (this is a rear-engined car), the gyro was installed in front to balance the engine's weight. Car can hit 125 mph with its 80-hp engine. 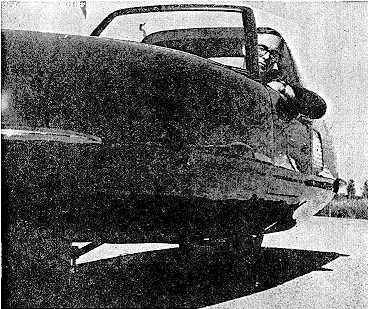 6b Designer Tremulis (standing) and gyrodynamist Summers (at wheel) pose with Gyro-X (propped on stand for photo-taking). 6c Gyro-X is 15'5" long, 47" high, 42" wide. Weight is 1859 lbs. It has a BMC 1275cc engine in rear. Below is the rest of the article, as it actually appeared. "I read with interest the information you provided on gyrocars. I was with Gyro Transport Systems since its inception in Utah. I was involved with administration and preliminary marketing activities for Tuscan Motor Co. and subsequently Gyro Transport Systems in Northridge, California. After Gyro Transport Systems went out of business, the remnants of the organization was reorganized as Gyro Dynamics Co. I had the pleasure of working with Al Crane, Tom Summers, and Alex Tremulis. Gyro Dynamics went out of business in 1967. The predecessor vehicle to the Gyro-X car was the Trail Truck built br Tom Summers for the US Forest Service. I attended the field trials performed by the U.S.D.A. for the Forest Service. The vehicle performed satisfactorily. Two were delivered. This machine was 6 feet long. The driver stood on a rear platform. The cargo bed was approximately 3x4 feet. Alex Tremulis joined the company to design the body of the gyrocar. It turned out beautiful. Tom Summers and Alex worked well together. We had a total of fifteen to eighteen people working at the Nothridge facility. The car was flown to a New York auto show in 1967. We had stabilization problems at higher speed cornering which were never fully resolved. I have been trying to remember some of the technical details of the subject gyrocar. I may not recall correctly, but I don't know who is still alive to refer you to, so I'll give it my best shot. 4,000 RPM gyro rotation. 20 inch diameter gyro rotor. Hydraulic pump and servos. Lightweight English engine, probably 40 BHP." The passage above I have highlighted in red gives one reason why not much more was heard of the Gyro-X car. 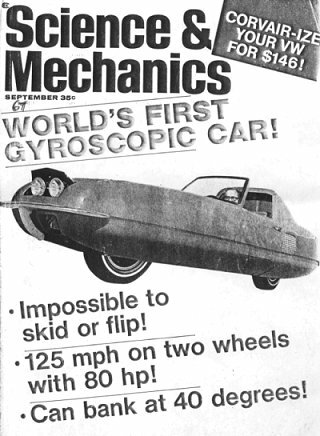 I also found this report: "In 1972, a gyrocar was exhibited by the Gyro-Dynamics organization. In this vehicle the gyro-stabilization mechanism is automatically positioned laterally in the underframe whenever uneven loading occurs. The gyros prevent any deviation from the exact vertical orientation of the car. Sensors react to all unbalancing forces and the mechanisms instantly make the adjustments necessary to keep the car erect and steady." This sounds like it might be the same vehicle, but all other details are lacking. Possibly a unique example of a gyroscopically-stabilised monowheel. This gyroscopic monowheel has a diameter of 29 cm and mass of 2.0 kg. It can be driven and steered by remote control, has good high-speed stability on smooth or rough terrain, and can be kept standing in place. It has traveled at over 10 kph, negotiated rough terrain (a small gravel pile), and traversed a 45-degree ramp 75% its height. Recovery from falls (resting on the round side of the wheel) has been achieved using the wheel forward drive and gyro-tilt controls together. "Gyrover" is a novel, single-wheel, gyroscopically stabilized robot concept. The behavior of Gyrover is based on the principle of gyroscopic precession, as exhibited in the stability of a rolling wheel. Gyrover supplements this basic concept with the addition of an internal gyroscope nominally aligned with the wheel and spinning in the direction of forward motion. The gyro's angular momentum produces lateral stability when the wheel is stopped or moving slowly. A tilt mechanism enables tilting the gyro's axis about the fore/aft (roll) axis with respect to the wheel. Because the gyro acts as an inertial reference in attitude, the principal effect of the tilt action is to cause the wheel to lean left or right, which in turn causes the wheel to steer (precess) in the direction of leaning. Torques generated by a drive motor- reacting against the internal mechanism which hangs as a pendulum from the wheel's axle- produce thrust for acceleration and braking. The Gyrover is resistant to getting stuck on obstacles because it has no body to hang up, no exposed appendages, and the entire exposed surface is driven. The tiltable flywheel can be used to right the vehicle from its statically stable, rest position (on its side). The entire system can be enclosed within the wheel to provide mechanical and environmental protection. The Gyrover can turn in place by simply leaning and precessing in the desired direction- with no special steering mechanism- enhancing maneuverability. Full drive traction is available because all the weight is on the single drive wheel. A large pneumatic tire may have very low ground-contact pressure, resulting in minimal disturbance to the surface and minimum rolling resistance. The tire may be suitable for traveling on soft soils, sand, snow or ice; riding over brush or other vegetation; or, with adequate buoyancy, for traveling on water. The Gyrovers I and II were built by The Robotics Institute at The School of Computer Science, Carnegie Mellon University, USA. Gyrover II is slightly larger than Gyrover I (34 cm diameter, 2.0 kg), and also utilizes many RC model parts. Tilt-servo torque and travel were both approximately doubled. Gyrover II uses a gyro housed in a vacuum chamber to cut power consumption by 80%, which increases battery life from about 10 minutes to 60 minutes. The entire robot is housed inside a specially designed pneumatic tire which protects the mechanism from mechanical and environmental abuse, and provides an enclosure that is resilient, although less rugged than hoped. The robot contains a variety of sensors to monitor motor currents, positions and speeds, tire and vacuum pressure, wheel/body orientation, and gyro temperature. Gyrover II has been assembled and driven by manual remote control on a smooth floor, and has shown the ability to float and be controllable on water. "The Cruise of the Gyrocar" by Herbert Strang. It sounded rare indeed, but stap me vitals if I didn't find a copy at a book fair yesterday. (14 Oct 2001) My copy says Oxford University Press on the frontispiece, and "reprinted 1922 by Whitefriars Press" on the next page. The colour plates are all dated 1910, so publication in 1910 or 1911 is likely. Intriguingly, it seems to have been published at least a year before the Russian Count Peter Schilovski made his first visit to the Wolseley Tool and Motorcar Company. As the author of the above link says, it grates a bit to find that the villain is a certain "Count Slavianski", but this appears to be mere coincidence rather than crack at Schilovski. 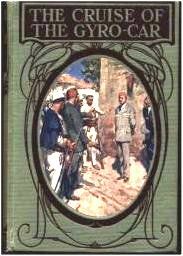 Having now read the book, I have to say it is not a very good story; the plot has more holes than a gyroscopically-stabilised colander. In the book the Gyrocar is naturally invented by some straight-shooting clear-eyed English lad rather than a Foreigner. It sounds at first as though Mr Strang pinched the idea wholesale and did not over-exert his imagination when picking names for his characters, but the dates don't fit. The Gyrocar in this book is an advanced model. It has two linked gyroscopes turning at 5000 rpm and two wheels front and back, ie four in a straight line; these wheels have ball-bearings. The petrol engine "drives a dynamo", so this vehicle has to drag around a generator-motor transmission. It has a sharp wind-splitting front that looks very pedestrian-unfriendly, and not the least of its features is that it is amphibous. It has a propellor, and makes short work of shooting rapids! The fictional inventor claims to have been inspired by Louis Brennan, a real historical figure who worked on a gyroscopic monorail vehicle, and also invented a dirigible torpedo, and even... a gyrocar, (above) though much later than Schilovski. See The Brennan Gyroscopic Monorail. "Two Boys in a Gyrocar: The story of a New York to Paris Motor Race"
(lots of stereotypes in this book). only to make the delivery, but to help the girl escape. death in a Midwest winter. They fight off an attack by a pack of wolves. and harrassed by an agent of the Russian secret police. Need I even mention that they rescue the princess and win the race? I must have read that book a dozen times when I was a kid."